Check your vehicle MOT history here. Welcome to H.R.S. Test Centre website! We hope you will enjoy browsing through our website, and that you will find a lot of useful information here. We pay great attention to the quality of our products and services. You can find detailed information about our products and services online or contact our customer service team for help. We are an approved MOT Test centre, based in Stechford Birmingham, servicing all makes of cars petrol and diesels. 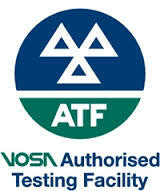 We are fully equipped to test cars and vans (class 4) petrol, diesel and catalytic converters for MOT, to the very latest standard. H.R.S Test centre originally started at Cooks Lane garage in 1979, we were there until 1991, we then moved to Stechford Trading Estates, and have been trading here as HRS Test Centre since 1994. With over 30 year of experience, we can cater for all your vehicle requirements. Our main services include, MOT, clutches, head gaskets, diagnostics, tyres, exhausts, wheel alignment, and welding. As Previously Recommended by Which? © 2014. hrstestcentre. All Rights Reserved.